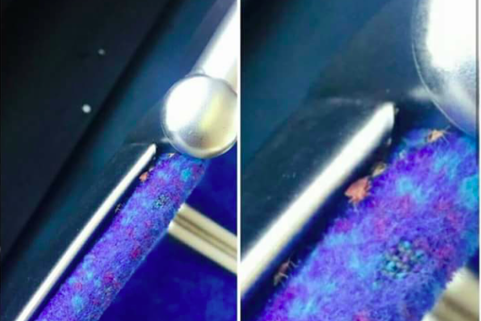 Passenger's photo of what appear to be bed bugs on a SEPTA bus shared more than 10,000 times on social media. A photo that appears to show bed bugs on SEPTA bus has gone viral after a passenger posted the image online Friday night. The photo was taken by passenger Robert Roberts, Jr., who was traveling on a Route 6 bus in the Olney/Oregon area. It has been shared more than 10,000 times over the weekend. Roberts said that was sitting near the back of the bus when he noticed the pests. He immediately alerted the bus driver and shouted to notify fellow passengers, according to CBS 3. “I said ‘this bus has bed bugs.’ Everybody got off the bus and they ran,” says Roberts Jr.
SEPTA spokesperson Jerri Williams said that once the organization became aware of the situation, they took immediate action. “We took those off the street and we’re going to fumigate them immediately,” she said, adding, that the buses are cleaned daily, with full house cleaning service on a bi-weekly basis. SEPTA could not confirm definitely whether the bugs in the photo were in fact bed bugs, but plans to address the situation as if they are. They reportedly plan to change the seating material on the buses to prevent issues like this from arising in the future.